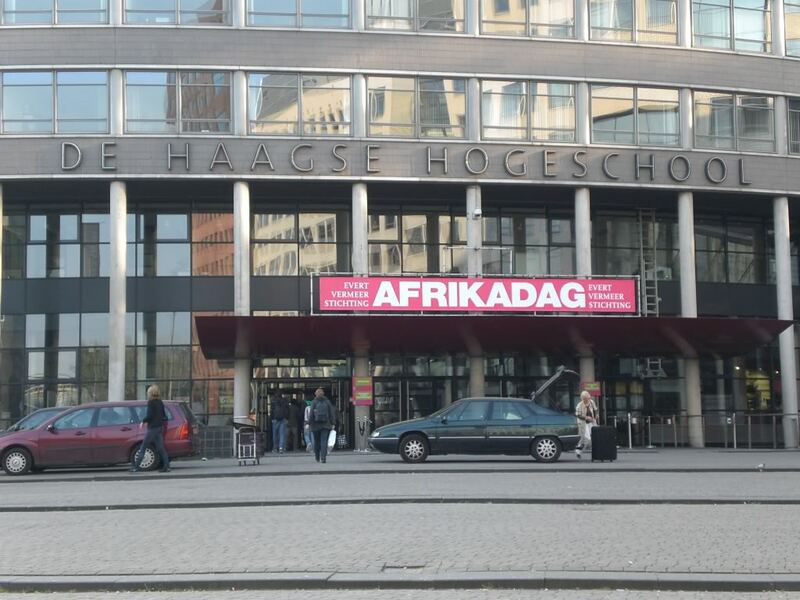 This year, Africa day - organized by Stichting Evertmee and De Haagse Hogeschol – took place on 24th April 2010 and was again a successful event. 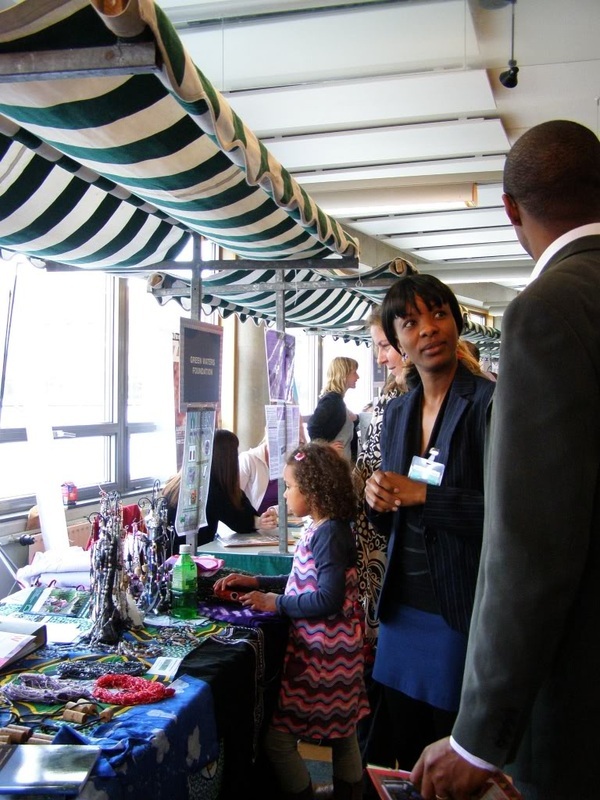 With more than 150 development organizations under one roof, the event received many people who show an interest in Africa. The energetic and stimulating spirit of the continent could be felt through the mood of the event. Organizations could visit each other’s information stands, ask questions, hear about the inspiring projects going on around various countries in Africa and take the first step towards building sustainable partnerships. Green Waters had one of the many stands. Our team - Peter Bakker, Anna Lyaruu and Stella Tesha - did a great job giving information about projects MIKITA, W.I.F.E.S and CHANCE. We explained the role of MIKITA in empowering Tanzanian women, the partnerships that we need for CHANCE and how W.I.F.E.S can be a way to raise funds for the projects in Tanzania. During the day, Stichting EVS had organized a number of workshops to be given by different NGO’s that work in Africa. Stella Tesha was happy to attend a workshop given by the Lion Heart foundation (Sierra Leone projects). 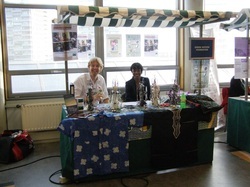 By the end of the evening people still stopped by our stand to chat about various subjects. We would like to thank our team within Green Waters, Stichting Evertmeer and Perspect for making the day a success for our foundation and the target groups that we reach with our projects. Women under Perspect, Ijsselmonde Sussanadijk and Tuinehoven supported us by contributing the creative recycled necklaces they had made during our W.I.F.E.S workshops. Due to the many wonderful products shown by the different organization we unfortunately were only able to sell a few of our W.I.F.E.S products. 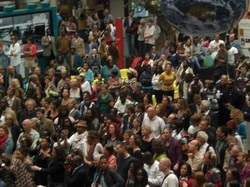 The event ended at 5 pm after a beautiful dance demonstration by “the daughters of Africa”. We hope to be part of next year’s event and already look forward to see you there to support our projects. Should you be interested in supporting our projects by purchasing any of our W.I.F.E.Sproducts, please visit our online store or contact us for a full list of available products.